I have four daughters and, as a Mom, I am daily trying to think of ways to make them feel empowered and important and significant in a world that tells them they are not those things. They are constantly told through media and those around them that they are meant to be ornaments. That being pretty is the most valuable thing they have to contribute. Magazines stare back at them every time we go to a grocery store. Commercials and television shows come into our home that reinforce these incorrect principles of what it means to be a female and what's important. As my oldest daughter turned 12 years old this past Sunday I was especially thoughtful as she entered the Young Women's program at church that our church is reinforcing those sacred principals that I want her to know. She is divine. She is powerful. She can change the world. It has been a wonderful experience for me to begin reading a brand new book that inspires, enriches, and uplifts women of the church with the words of other LDS women, spoken with power, force, and purpose over the pulpit! AT THE PUPLIT showcases the tradition of Latter-day Saint women's preaching and instruction by sharing 54 speeches given from 1831 to 2016, with selections from every decade since the founding of The Church of Jesus Christ of Latter-day Saints. 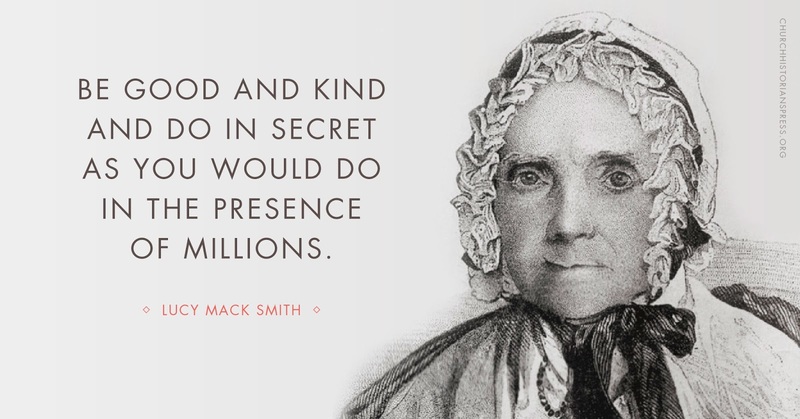 The discourses, given by women both well known and obscure, represent just some of the many contributions of women to Latter-day Saint thought. Each talk is prefaced with a biography of the speaker herself and then we get to read the profound words given by these sisters who have been called by God to lead within His church. As I read through certain talk within this book I needed a highlighter at the ready! There are such impactful and amazing passages that speak to me as a woman in these Latter-days and also as a Mother raising girls. I cannot recommend this book enough! It has easily taken a spot on my top 5 favorite LDS books of all time! It would be an amazing gift for LDS women of all ages. You can buy a copy of AT THE PULPIT on Amazon or DeseretBook.com. You can also visit churchhistorianspress.org/at-the-pulpit, where you can learn more about the book AND read twelve of the talks in their entirety including 3 bonus discourses not included in the print volume.